Andalucían Space Shuttle: Ready for launch! You might not have thought that Andalucía has it’s own Space Programme, but that’s what I always tell our visitors as we head along the motorway from Málaga airport towards our home in the Axarquia. It sounds so much much better than telling them that what they can see in the distance is the concrete factory at La Araña. Until recently, I had never really thought of La Araña as being anything other than “the place where the monstrous concrete factory is” – apart from the Andalucían Space Shuttle, of course! On the Mediterranean side of the road artery to-and-from Málaga and forming part of the GR-92 (Sendero Litoral Este de Málaga) coastal walkway, lies a beautiful stretch of coastline, popular with walkers and mountain bikers, which is well worth a visit. 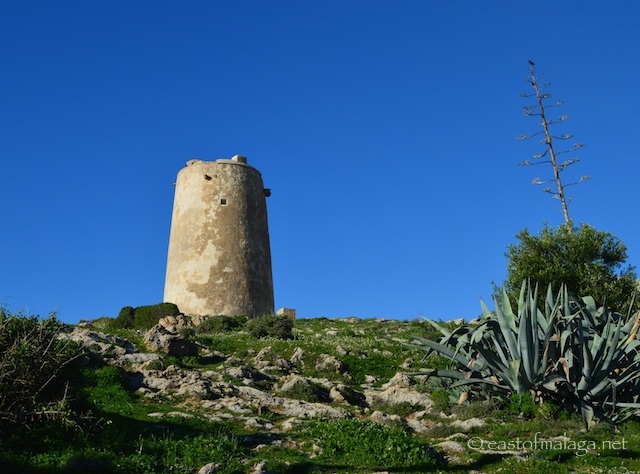 If you park in the village of La Araña and head in the general direction of Málaga, you will first come across El Torre del las Palomas (Tower of the Pigeons), one of the many watchtowers dotting the Axarquían coastline, at one time used to help in defending the area from invaders. 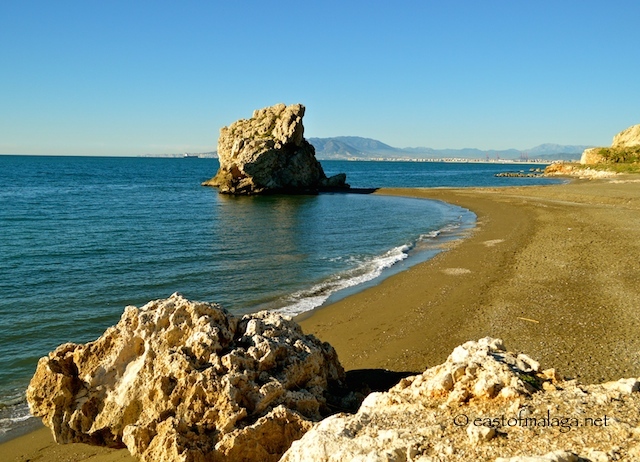 From here, as you walk towards Málaga, you will see the iconic El Peñon del Cuervo (Raven’s Rock), with a tunnel nearby, which once formed part of the coastal railway, linking Torre del Mar with the city of Málaga. The palm-tree lined walkway widens out to a lovely beach area, popular with locals during the summer months. There is a parking area and BBQs available for public use. Next time you are on your way to Málaga, surprise yourself like I did, and spend an hour strolling along this scenic but hidden stretch of coastline. This entry was tagged Andalucía, East of Malaga, Europe, Malaga, photography, Spain, travel. Bookmark the permalink. We went there once when the kids were really little and didn’t like walking and complained and complained and were tired all the time lol! We’ll have to go there again now that they’re bigger (and stronger and hardier). I would love to explore there! It looks absolutely beautiful! Wonderful photographs. Beautiful area. I’m sure it gets its share of walkers and bikers. These photos were just the ticket on a cold, rainy morning. 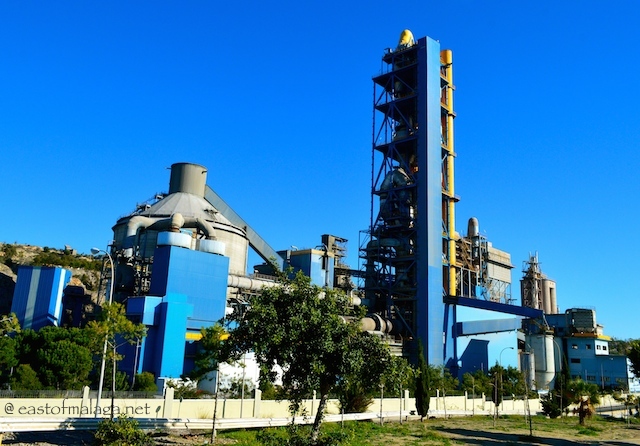 On a day like this, I’d even settle for a tour of the concrete factory if it got me a little sunshine! Good to be reminded that almost everywhere you go there is beauty to be found. Every time we come past here we say we should stop and have a look as it looks like a great spot, it’s just the space shuttle that puts us off, better do a space walk of faith one time ! Thanks for the gentle push Marianne. Beautiful! This makes me want to go back to Spain so much!! We are good – working loads and lots of family stuff ! Weather very cold here – have scraped the car most mornings ! !